Speak to any physician long enough and you will hear the challenge of having so much to do and not enough time to accomplish it all. Time management is a challenge for medical residents in training who are hopeful for better balance in their life and career when they become an attending. 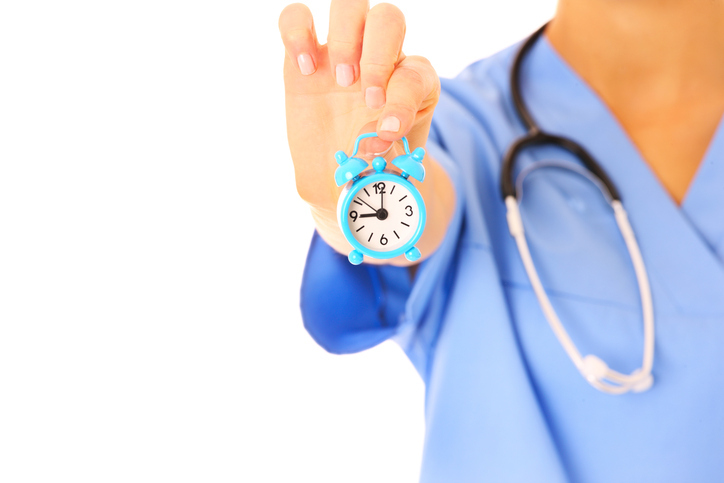 Attending physicians know that time is still a precious commodity when they are seeing patients in the office or on the floors and units. Time management begins with setting priorities. It is important to have time to decompress and rejuvenate after a long day of taking care of patients. Physicians need to understand the value of self-care as a crucial component of a successful life and career and make the time for it in their busy schedule. So how do you find the time to reconnect to your soul so that you can feel inspired about the work that you do and the patients that you serve in your practice? Track Your Activities. Pick three typical days and track your activities. In 2-4 hour blocks of time, write down what you are doing with your time. Observe, without judgement, your level of productivity. Pay particular attention to how you are spending your time away from work. Consider tracking how you use your time on the weekend or your day off. Get inquisitive. After you have completed 3 days of tracking, review the list using 2 different colored pens. With the black pen, place a + sign next to the activities that made you feel inspired, encouraged, relaxed, and purposeful. These items might include interacting with patients, finding a solution for a situation at work, spending time with your family, or having a wonderful date night with your spouse. With the red pen place an X next to any activity that left you feeling drained, stressed, and uninspired. This might be things like watching a marathon of a show on Netflix and then noticing that you’ve lost hours of time that could have been used differently. It may be listening to colleagues complain with no solution in sight. Empower yourself to make different choices. Re-evaluate what is important to the success of your life and career. With this insight, align how you spend your time with how you want to live your life. The day to day responsibilities at the hospital or the office most likely remain unchanged. Your power lies in the choices you make with the time away from your clinical and administrative responsibilities. Your new awareness provides the opportunity to prioritize activities that motivate you and bring you closer to your personal and professional goals.